Warning: Cleaner & polish contain natural orange oil. Keep out of reach of children. Not suitable for consumption. Keep away from open flames. Do not expose to cold or light. Anything you will need and good quality. 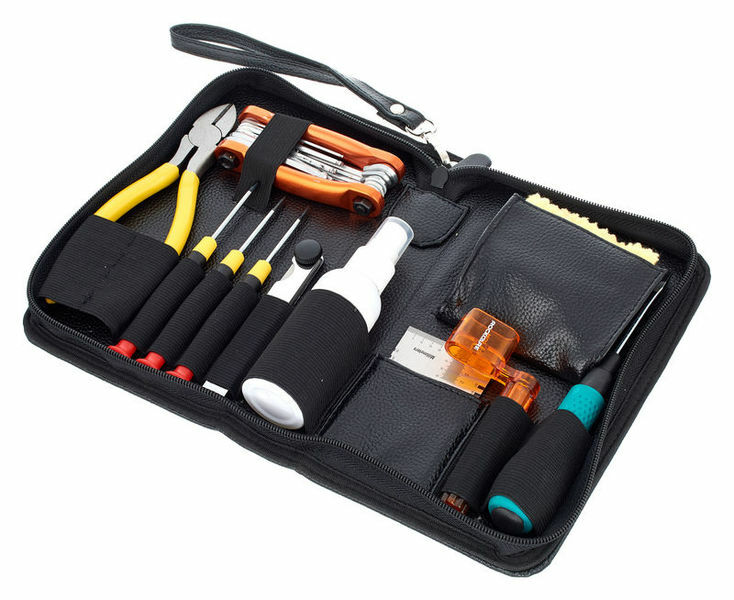 My brother (guitarist) and i (bassist) have used this toolkit for numerous things and we love it. From cleaning to restringing and setting the action. It's all in there. I only wish the position of the rock'n ruler would be a bit better. It's impossible to take out without scratching the inside of that pocket.